New work is as central to the repertory of The Royal Ballet as revivals of the classics. For Director of The Royal Ballet Kevin O’Hare, contemporary choreographers and dancers are ‘creating the classics of the 21st century’. In this mixed programme, O’Hare invites two choreographers to create new works for the Company – one making her long-overdue return, the other making his main-stage debut – while reviving one of O’Hare’s earliest Royal Ballet commissions, first performed in 2015. Twyla Tharp is one of the most prolific choreographers of our time. In The Illustrated ‘Farewell’ she expands her 1973 classic As Time Goes By into a new work for The Royal Ballet. Arthur Pita is a major force in British dance, best known at the Royal Opera House for his Metamorphosis based on Kafka’s short story. He now creates a new work, The Wind, for the Company. Hofesh Shechter’s Untouchable showed ballet taking an exciting new direction, pitting classical bodies against Shechter’s signature gravity-bound physicality. Twyla Tharp occupies a rare position in choreography: she is as much an innovator of contemporary dance and theatre as she is a major ballet choreographer. She has created more than 160 works for dance companies, film and Broadway. She now makes a long overdue return to The Royal Ballet – more than twenty years after her first work for Covent Garden – to create a new work, The Illustrated ‘Farewell’, that returns to and expands upon 1973’s As Time Goes By. In As Time Goes By Tharp set the final movements of Haydn’s ‘Farewell’ Symphony. For The Illustrated ‘Farewell’ she completes the symphony by setting the first two movements, creating a ‘prequel’ to her era-defining work from 1973. Arthur Pita has forged a distinctive career in British dance; his disquieting narrative works tell dark and strange stories through a vivid, visceral language of movement. His award-winning adaptation of Kafka’s Metamorphosis in 2011 for the Linbury Studio Theatre was a triumph. As well as creating works for his own company Pita has been commissioned by companies and figures from Dance East to Natalia Osipova – creating a body of work whose strangeness and imaginativeness have earned Pita the nickname ‘the David Lynch of dance’. Pita now makes his main-stage debut for The Royal Ballet with The Wind. He takes as his inspiration Dorothy Scarborough’s controversial 1925 novel, now considered a seminal work of Texan literature, and the 1928 silent movie classic it inspired, which starred Lillian Gish. The ballet comes with a new score by Frank Moon, whose fantastical, inventive music has accompanied most of Pita’s work. 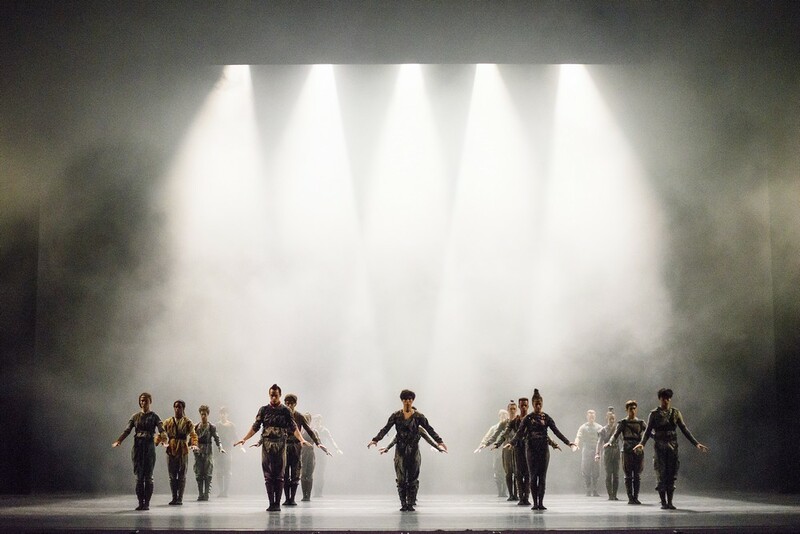 First performed in 2015, Untouchable is the first work for a major ballet company by the multi-award-winning Israeli choreographer Hofesh Shechter – a Royal Ballet project The Guardian called ‘a milestone commission’. He subverted the hierarchies of traditional ballet and created Untouchable on a 20-strong corps de ballet, who slink and judder through highly energized movement – a fascinating new language born from a marriage of two very different dance styles. Shechter almost always composes his own music for his dance pieces; his music, strongly influenced by his percussionist training, is as explosive as his dance. Untouchable is no different, its pounding score co-composed by Schechter and his regular collaborator Nell Catchpole. Added to this, Untouchable sets individual dancers against densely regimented ensemble sequences, and reflects current themes of identity, nationhood and alienation. 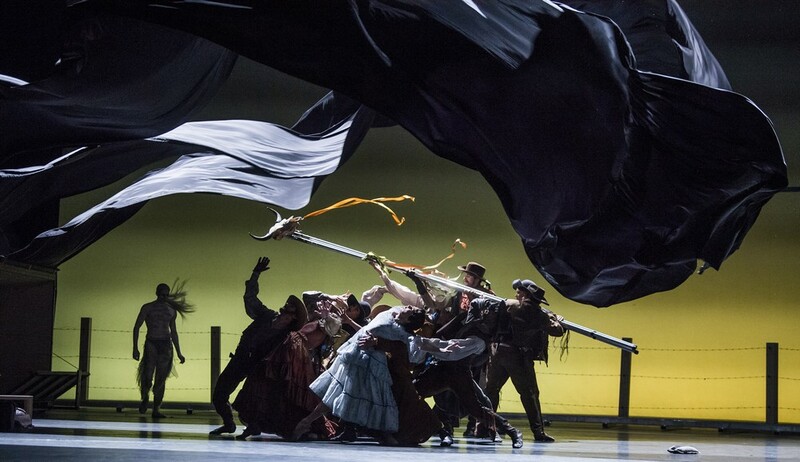 The Triple Bill continues at The Royal Opera House until 17 November. American choreographer Twyla Tharp made her Royal Ballet debut in 1995 with Mr Worldly Wise. Her ballet Push Comes to Shove was added to The Royal Ballet’s repertory in 1997. Further performances of her work at the Royal Opera House include Known by Heart, performed by American Ballet Theatre in 1999. Since graduating from Barnard College in 1963, Tharp has choreographed more than one hundred and sixty works: 129 dances, 12 television specials, five Hollywood movies, four full-length ballets, four Broadway shows and two figure skating routines. She has also written three books. She has received one Tony Award, two Emmy Awards, 19 honorary doctorates, the Vietnam Veterans of America President’s Award, the 2004 National Medal of the Arts, the 2008 Jerome Robbins Prize and a 2008 Kennedy Center Honor. Her many grants include the John D. and Catherine T. MacArthur Fellowship. Portuguese choreographer Arthur Pita created his award-winning dance theatre piece The Metamorphosis, an adaptation of Kafka’s short story, in the Linbury Studio Theatre in 2011. His other work in the Linbury includes And Then Gone for Bare Bones and God’s Garden for DanceEast and ROH2. In 2014 he brought his dance marathon The World’s Greatest Show to the Paul Hamlyn Hall. 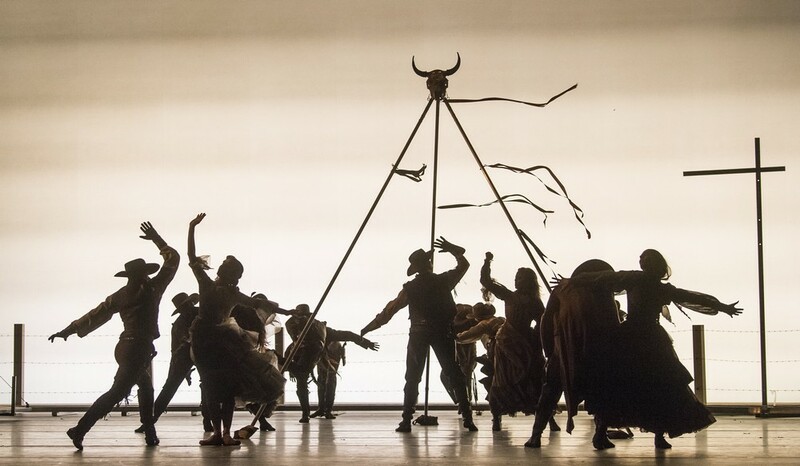 For The Royal Opera he has created the choreography for Carmen, directed by Francesca Zambello and La donna del lago and Rise and Fall of the City of Mahagonny, both directed by John Fulljames. In 2015 he created The Ballad of Mack and Ginny on Wendy Whelan and Edward Watson as part of Whelan/Watson: Other Stories. Pita was born in South Africa and studied dance in Johannesburg. He came to London in 1991 to train at the London Contemporary Dance School, graduating with a master’s degree. He has worked internationally in opera, musicals, plays and film, and created several original commissions for dance companies including Phoenix Dance Theatre, Candoco and Ballet Black. Pita’s original productions include BoomShe SheBoom, Bugger: a fairytale and Camp, all performed at The Place, and The Little Match Girl and Stepmother/Stepfather for DanceEast, where Pita is currently Artist in Residence. He adapted his God’s Garden for Natalia Osipova and Ivan Vasiliev in their Solo for Two programme in 2014. Choreographer and composer Hofesh Shechter is an Associate Artist of Sadler’s Wells and his company is Resident Company at Brighton Dome. He made his Royal Ballet debut in 2015 with Untouchable, for which he also co-composed the score, and his Royal Opera debut later the same year, co-directing Orphée et Eurydice with John Fulljames. Shechter was born in Jerusalem and studied at the Jerusalem Academy for Dance and Music, graduating into the Batsheva Dance Company. He studied drum and percussion in Tel Aviv and Paris and moved to the UK in 2002. His choreographic debut, Fragments (2003), led to a commission from The Place Prize to create Cult (2004, Audience Choice Award). Shechter was an Associate Artist of The Place 2004–06, where his works included Uprising (2006). In your rooms (2008), a commission from The Place, Southbank Centre and Sadler’s Wells, was nominated for a Southbank Show Award and won the Critics’ Circle Award for Best Choreography (modern). He formed the Hofesh Shechter Company in 2008. Other works include Uprising/In your rooms: the Choreographer’s Cut (2009), The Art of Not Looking Back (2009), Political Mother (2010), Political Mother: the Choreographer’s Cut (2011), Survivor (2012, a collaboration with Antony Gormley at the Barbican), Sun (2013) and barbarians (2015). In summer 2014 he was Guest Director of Brighton Festival and in autumn 2015 he won the Groucho Club’s Maverick Award.